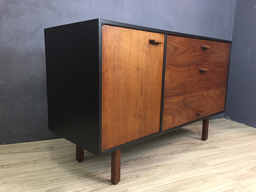 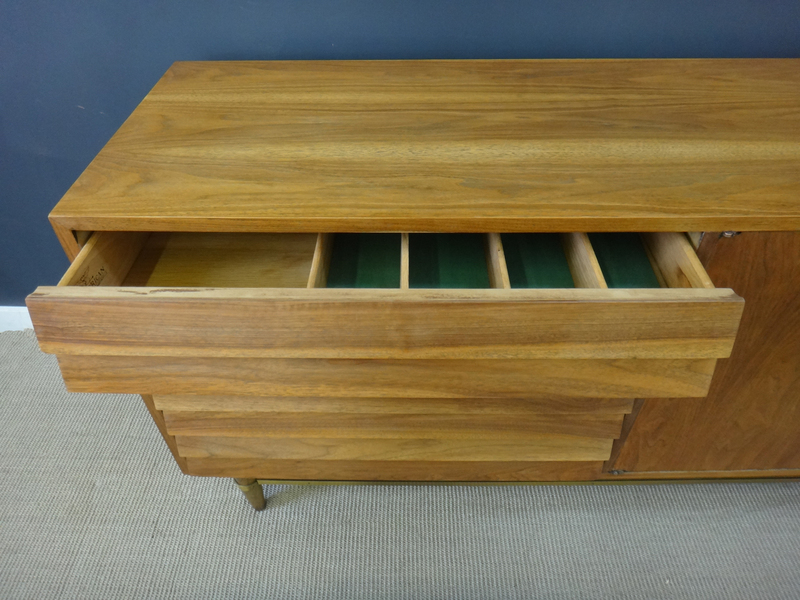 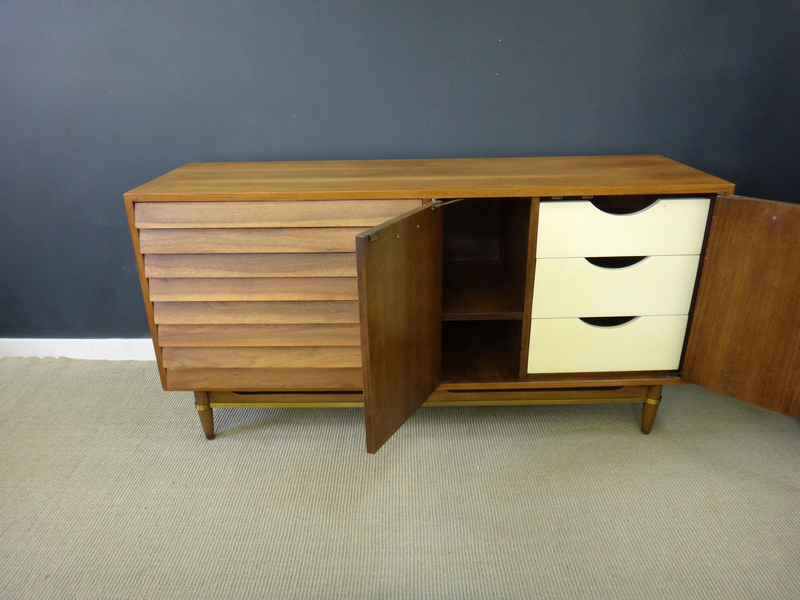 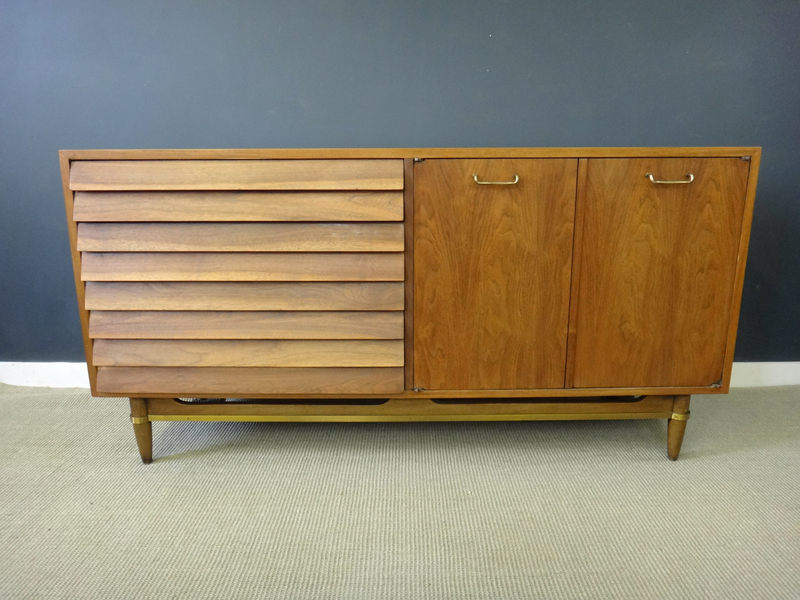 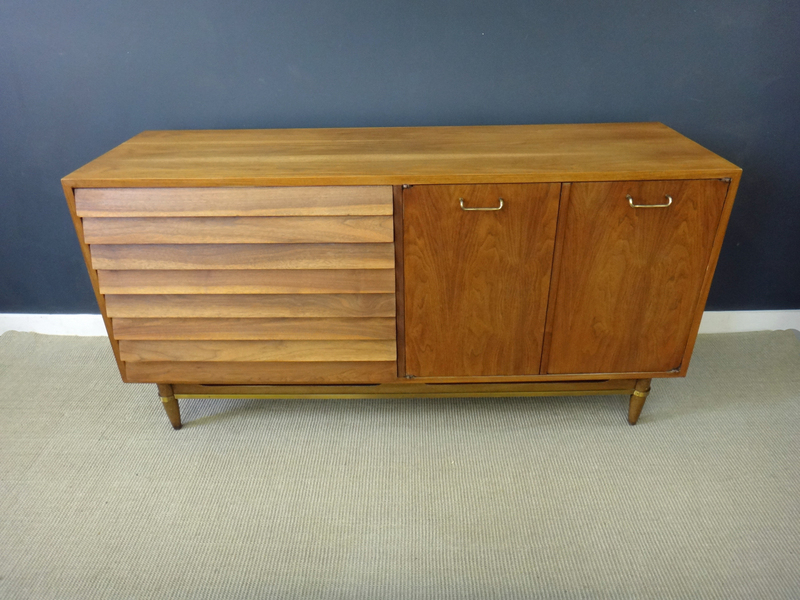 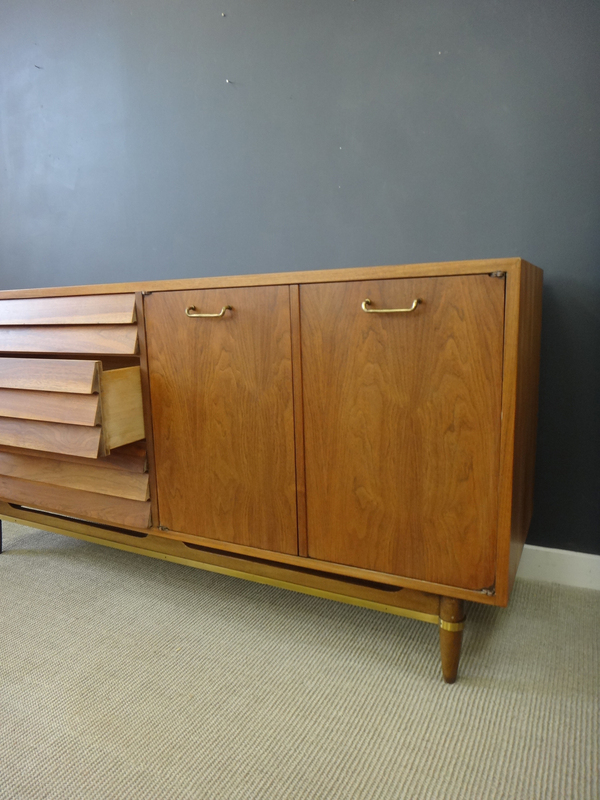 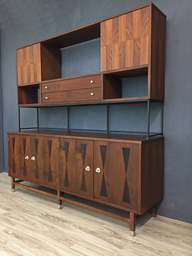 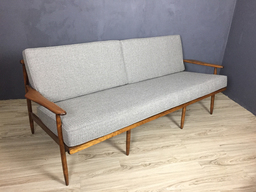 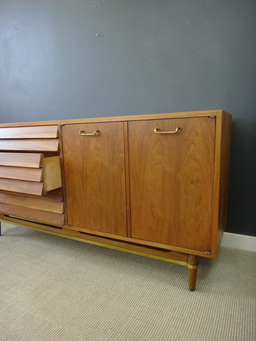 Perfect apartment sized mid century credenza designed by Merton Gershun for American of Martinsville's "Dania" line. 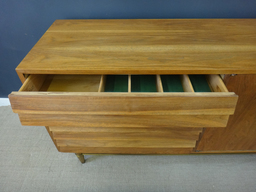 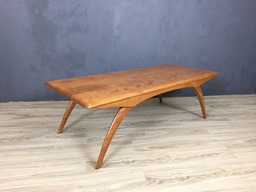 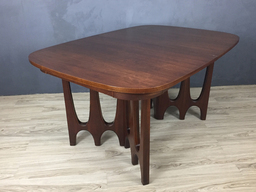 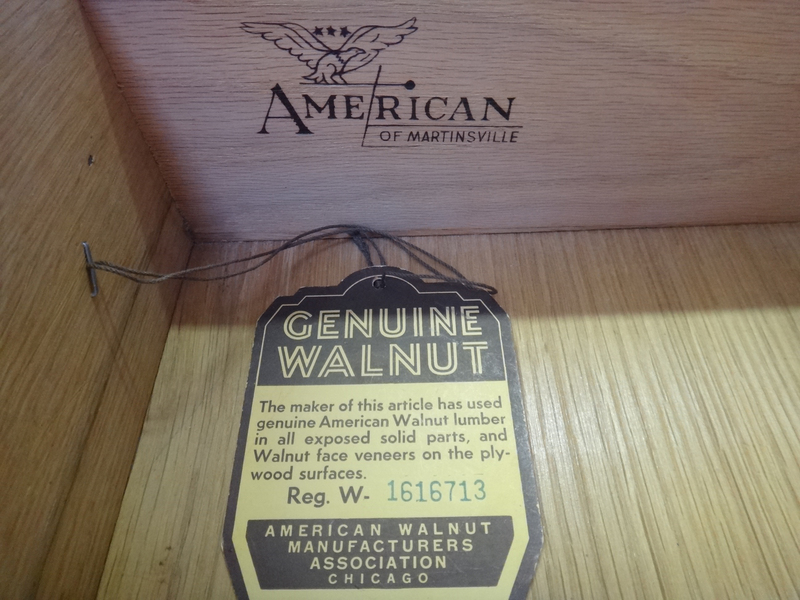 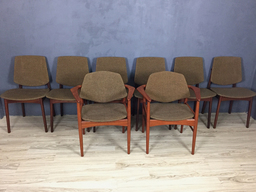 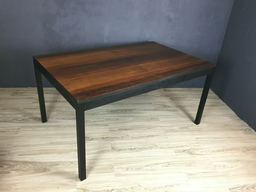 We refinished this lovely piece and left the walnut its natural color by applying only a clear sealer. 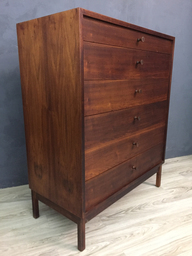 It features the brass detail on the base characteristic of Gershun as well as the louvered drawers that add so much interest. The original paper tag is still attached inside. 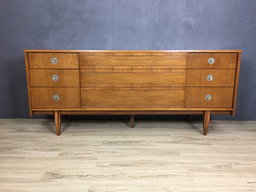 The inner ivory drawer fronts have their original paint and have some marks of age but drawers are clean, and overall the piece is in excellent condition. 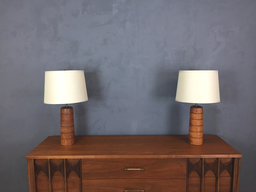 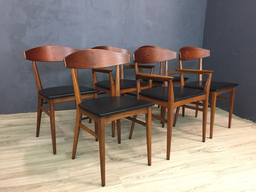 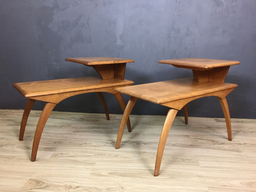 The base has its original finish.